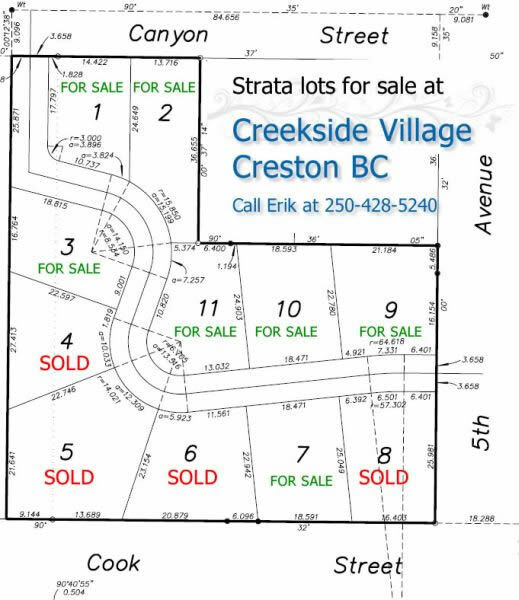 House or property description: Lots for sale in adult (50+) bare land strata subdivision. Westerly view of Creston flats & mountains. Build your dream house with your plans or ours. Certified new home warranty builder available to build, or build your own. Location 405 Canyon St Creston B.C.